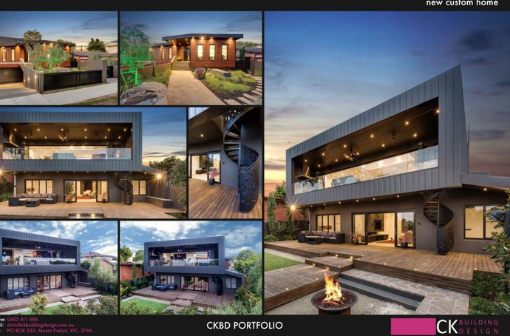 Melsteel have played a role in delivering this contemporary Mount Waverley residence that has been featured in the Association of Consulting Engineers Victoria and entered into the Building Designers Association of Victoria (BDAV). We were pleased to work with building designer Chris Groom from CK Building Design on this large double storey residence with creative architectural features that both offer spacious contemporary living and compliment the traditional setting of the quiet neighboured. We supplied and installed fabricated steel trusses that ran along the top, bottom and sides to create a ‘picture frame’ structure that was located on the outer end of the cantilevered upper floor balcony. This structure was supported by two long span steel roof beams across the top of the frame and three cantilevered steel floor beams across the bottom, in order to create the large alfresco area beneath the balcony.